Replacing a furnace filter is often not on the top of the to-do-list. It can be overlooked until the furnace is not working properly or the air becomes less clean. People with allergies are often the first to notice when a furnace filter has become dirty and needs replaced. And just as important a dirty filter can hinder a furnace from working properly. As a HVAC tech I have been on many furnace calls only to get there to find out the filter is dirty. 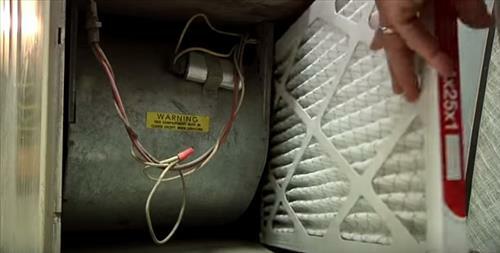 When a filter becomes dirty less-and-less air can circulate inside a furnace and into a home. This raises the temperature inside a furnace Heat Exchanger which has a High Limit Switch that will shut down a furnace when it becomes too hot. The good news is this is all easily fixable by simply replacing a filter with a new one. How Furnace Filters are Rated. The MERV rating was created by ASHRAE as a rating system for filters and measure the size of debris that can pass through a filter at the micron level. The rating system is measured by a number between 1-16 with 16 being the best and 1 being the worst. MPR is a new rating created by 3M system and has filters that have smaller filtration holes than the MERV rating can rate. This does not make MPR rated filters better than MERV rated filters but in some cases can measure smaller diameter holes than MERV can. Here is a comparison between the two numbers. Filters are made with different manufacturing process that have different rated filters. Here are the main types of filter technology and their rating. These are often the cheapest filters sold and have a low MERV rating. If you need something cheap to simply get by with than these are for you. They don’t clean the air much but simply keep out big debris particles that can clog up the components inside a furnace. These types of filters are a step up from the disposable fiberglass types. They are more expensive but help to clean the air in a home. Electrostatic filters help clean the air since they become positively charged from static electricity. This static charge makes them better at catching small particles that pass through them. These work the same as the disposable electrostatic filters but are re-washable. Since they are reusable they can last many years and save money in the long term. Made from 4-5 inches of cotton or similar material makes these types of filters have the highest MERV rating. If you need the highest quality furnace filter with the cleanest air than this is the type to get. Furnace filters are replaced by measuring the width by the length. So a filter that measure 20 inches long by 25 inches wide would be replaced by a 20 X 25 filter. Depth can also be important on some furnaces, with most being 1 inch deep. How Often does A Filter Need Changing? How often a filter is replaced depends on how fast it becomes dirty and clogged up. A home that is located in the desert location will become dirty quicker than a home at a higher elevation. The same can be said about a home with pets compared to a home with none. 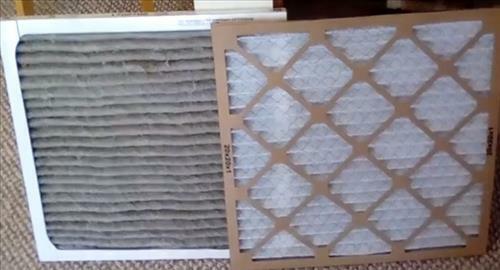 Most homes can go 2-3 months between filter changes. So Which Filter Is The Best To Buy ? This depends on a person along with cost and how clean the air is wanted. Filter prices can vary from cheap to expensive depending on what is needed. Someone who is allergy prone will likely want a better filter to help keep attacks from happening.